I do not kid when I tell you I smile like this all the time. Well, at least after I've had coffee in the morning. Welcome to my happy place. Or, one of them. I am generally a happy person with a happy demeanor, so naturally I find happiness in a lot of spaces and activities. I wish I could easily find the words to describe the joy creating yarn makes me feel, but I'm afraid my words are inadequate, and my hope is by sharing my spinning space, process, and some of the yarn I've made recently you'll be able to see and feel it too. It's like exposing a piece of my soul to you. This focus shift to one of my favorite hobbies is why the blog has been so quiet lately (that and all the apples we are literally drowning in), so now that I'm ready to share again, this is the perfect place to pick back up because it is one of the things that drove all this homestead talk to begin with. I couldn't possibly have a hobby like spinning yarn without also dreaming about owning fiber animals. I'm currently leaning towards angora goats and a few fluffy sheep. They would help solve our overgrown pasture problem. Don't worry, I'll change my mind on the animals about 100 times between now and when we actually get them. It's what I do best. So if you've seen me post about my yarn or fiber arts endeavors and have been curious, read on. There's not much of a homestead update in here, but I promise I will get that up soon. I made apple cider vinegar with all those apple scraps we've been drowning in and it needs to be celebrated as soon as it's ready. One of the things that attracted me to spinning yarn was the color and texture hand spun brought to my crochet projects. Hand spun yarn is nothing like any mass manufactured yarn. Each one is unique. Even if I'm attempting to make two skeins identical they won't be, and they are chock full of spots that show they were made by a human. Which I think is part of the fun. 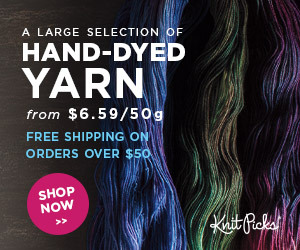 If perfectly even yarn, and solid colors without shade nuances are what you are looking for, this is not it. I also find hand spun fun because colors, yarn weights, and fiber types can all be mixed and matched to create truly unique projects. I find it inspiring! All of my yarn starts the same way, as a big old hunk of fiber. Almost everything I dye is mill washed and processed into combed top. They are easy to weigh out, dye, and make for beautiful smooth spinning. I'm also lucky enough to have piles of raw alpaca to play with. I just started spinning with it again after purchasing a blending board. All of my alpaca is from a friend's farm, and I wash, pick, and hand card it myself. So therapeutic if you ask me, but also time consuming. Someday I will own a wool picker, and drum carder which will help speed the raw fiber processing up. Then I will be able to order (or raise and shear!) whole sheep fleeces and process the whole thing myself. The blending board has been helpful because I can make blends of raw fleece and combed top which adds more variety into that individual skein and I don't have to wash, pick, and card as much. I've done several blends and am pleased with how my new rolags are spinning now, so I will get some into the shop asap. Whenever I try something new I keep those first yarns for both posterity, and to see how they work up. Each skein of yarn is like a small work of art. The process, from blending board, to rolags, to yarn. I'm currently hooking this up into a gorgeous shawl to wear to all my local school events. Every color you see in my shop is hand mixed into that shade. I use Greener Shades Acid Dyes which are heavy metal free and certified for organic fiber processing. They only come in 9 colors, so I have a lot of fun mixing them together to see what I get. I use math to calculate my depth of shade and use a color wheel in my head to combine what I think will create the look I am going for. I carefully measure the dye powder in grams to achieve the right shade. Sometimes I nail it, and sometimes I dye 5 different browns trying to get a dark fall orange. I document everything I do in case I want to repeat, or avoid it. I prefer this method for myself because mixing the dye powders, combining the colors and being blown away by something I brought from conception to reality is the part that feeds my creative soul. So I want to have full control over it. I process the dye in what I lovingly refer to as my crock-pot army. I only have three of them, so everything you see is done in small batches. I don't normally spin outside. Too breezy most days, but it's nice when I can. Once the fiber is ready, I spin it. Meet the lovely Orabelle. She is a Kromski Sonata, which is a castle style travel wheel. She folds up and fits in a backpack. A really big backpack, so I don't often travel with her. I had grand dreams of taking her to fiber festivals and spinning guild meetings, but I have not made either of those things a priority. Maybe when the kids are in college. She has been on a plane though. I flew her to Ohio when we were in the middle of our move. It was a tight squeeze in the overhead bin and she was the star of our trip through airport security, but we managed and she made it safely. Orabelle was a gift from Jared and the kids for my 30th birthday, which makes her about 3 1/2 years old now. Like many things I name, she is named after one of my favorite beers by Great Divide Brewing Company in Colorado. Now that I think of it, none of the chickens are named after beer. We need more chickens so I can fix that. I don't know that I have a particular signature spinning style. 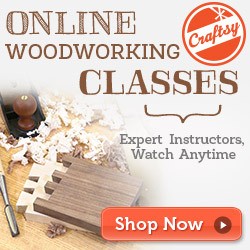 I'm always looking for ways to learn more techniques and improve, and I currently take Craftsy's spinning classes to do so. I haven't taken a class I couldn't recommend yet, so if spinning is on your bucket list give one a try! If I had to pick a favorite style to spin it would be Thick & Thin. This is currently the "artsiest" thing I do, and the texture this spinning style brings to knitting, weaving, or crochet is fantastic. Hand spun yarn isn't for everybody, or every project. It is labor intensive to create so it can be out of many people's price range. I would encourage everyone to give it a try once and mini skeins are perfect for that. If you know you love hand spun yarn you should definitely treat yourself with it every now and then. If you see a beautiful yarn here that you MUST have it might still be in our Etsy shop! If you'd like to stay up to date with what I'm dyeing and spinning follow us on Instagram. I mostly use Facebook for the more traditional homestead stuff like the garden and chickens, though if you ask me spinning yarn is quite the homestead activity.